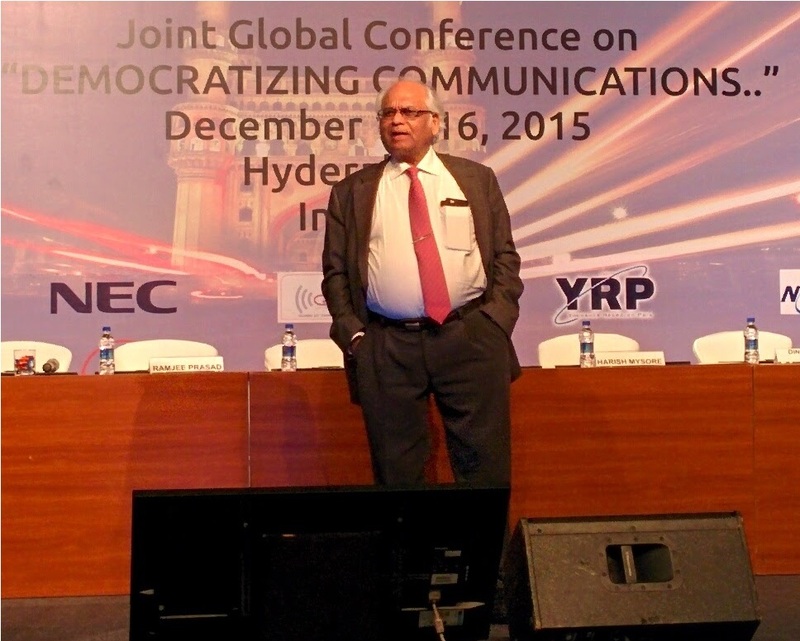 December 2015, we participated in the Global Wireless Summit 2015 held in Hyderabad, India, that had the speaking theme “Democratizing Communications”. Listening and speaking with other presenters and participants helped us to understand what is being prepared by the scientists and communications, electronics and software experts. One thing is clear to us, 5G is not just a faster 4G network. It’s a whole new paradigm of communication, supporting all communications for Human-2-Human but also Device-2-Device. The last brings a whole new spectrum of possibilities and therefor creates many new Business opportunities. 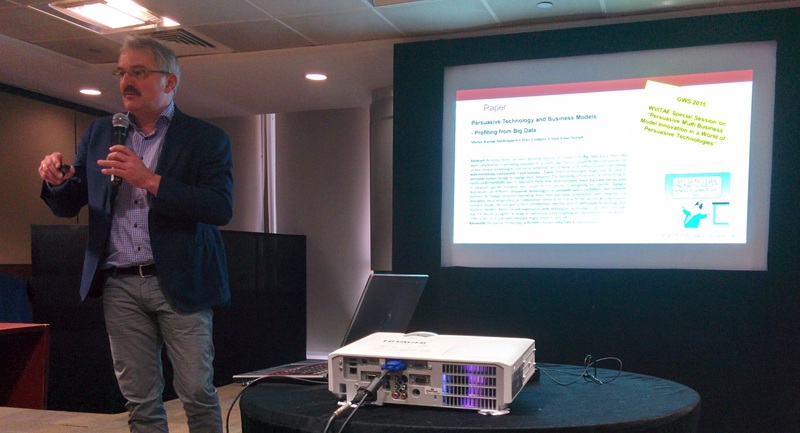 This conference was organized by our friend prof. Ramjee Prasad. He has built a great reputation with his involvement in the evolution of networks: 1G, 2G, 3G, 4G and now 5G. Ever thought why such an important conference is organized in India? With every new technology wave, everyone has an equal chance to become a winner. So why not Indian based companies? And turn the country into a major supplier of 5G consumer and industry-grade products with Indian brands on it? They have the market, they have the skills, they have the power to do so. Now they need good Business Model plans. We gave an introduction to Business Model Innovation and Transformation, we explained what makes a Continuous Business Model Plan and why you need this. We touched on the importance of the new Value Delivery Modeling Language standard of the Object Management Group (OMG) to support all of this Business Model innovation and transformation work. Just a lot of Business fun, you can imagine. For the upcoming Global Wireless Summit, God willing, we are looking forward to meet many entrepreneurs from India to create a booming 5G enabled Industry for India and the World. It should be our objective to create added value applications that utilizes all the new options of 5G. The worst that can happen is that only Entertainment utilizes 5G, mainly due to the bigger bandwidth delivery. Here some concepts of 5G, we try to build a bridge between pure technology and Business … Let’s say, it’s an attempt. 5G is referred as beyond 2020 mobile communications technology, many areas have to be re-engineered and invented. All technical related, but very crucial for the success of 5G: Data coding, modulation techniques, cognitive radio technology, multi-hop networks, persuasive networks providing ubiquitous computing and many more. 5G provides the speed and response time that is at least an order of magnitude higher than the mobile technology used of these days. It’s due to WISDOM that 5G can support the Tera Hertz frequencies and deliver to the needs of Tera bps. Fastest communication and ubiquitous connectivity is the foremost priority of present era. WISDOM is a way towards 5G with a coverage extending from a city, region to a country, continents and the world as shown in the attached picture, forming together a Global Information Multimedia Communication Village (GIMCV). 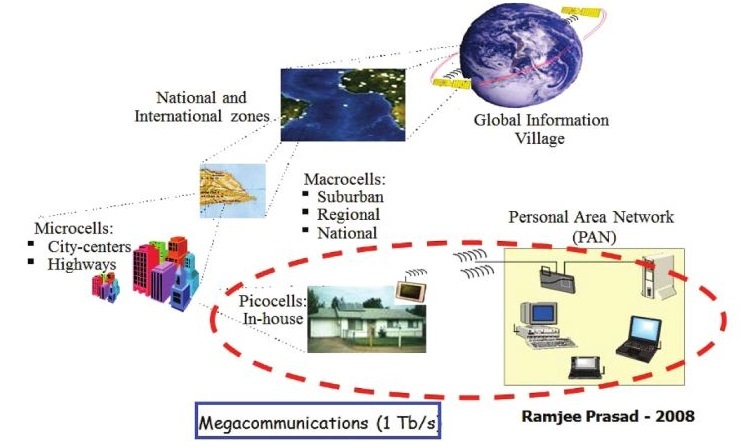 WISDOM based 5G network would be capable of dynamically aligning the communication network to support drastic changes in the overall network topology and therefore referred as dynamically operating mega communications based system. To summarize, many new applications can be envisioned that disturb existing Business Models and are screaming for new Business Approaches and Business ECO-systems to deliver the value of 5G to the masses. We are no network specialists, but thought it might be useful to inform you about what is all happening with 5G and you can start exploring the Business possibilities that 5G can bring to your existing or new Business Models and markets.